The Toyota Celica is a compact sports car which was produced by the Japanese company Toyota from 1970 to 2006. The Celica name was ultimately derived from the Latin word coelica meaning "heavenly" or "celestial". In Japan, the Celica was exclusive to Toyota Japanese dealerships Toyota Corolla Store. Throughout its life span the Celica has been powered by various four-cylinder engines. The most significant change occurred in August 1985, when the car's drive layout was changed from rear wheel drive to front wheel drive. During the first three generations, American market Celicas were powered by various versions of Toyota's R series engines. The four-wheel drive turbocharged model called GT-Four worldwide (All-Trac Turbo in the US) was produced from 1986 to 1999. Variable Valve Timing came in certain Japanese models starting in December 1997, and became standard in all models from 2000 on. Through seven generations, the model has gone through many revisions and design forks, including the Toyota Celica Supra (later known as the Toyota Supra). The Celica was available as notchback and liftback coupes, as well as a convertible. The first Celica for North America, 1971 ST was powered by 1.9-liter 8R engine. The 1972–1974 models have 2.0-liter 18R-C engines. For 1975–77, the engine for the North American Celica is the 2.2-liter 20R. The Celica GT and LT models were introduced in the U.S. for the 1974 model year. The top-line GT included a 5-speed manual transmission, rocker panel GT stripes, and styled steel wheels with chrome trim rings. The LT was marketed as an economy model. 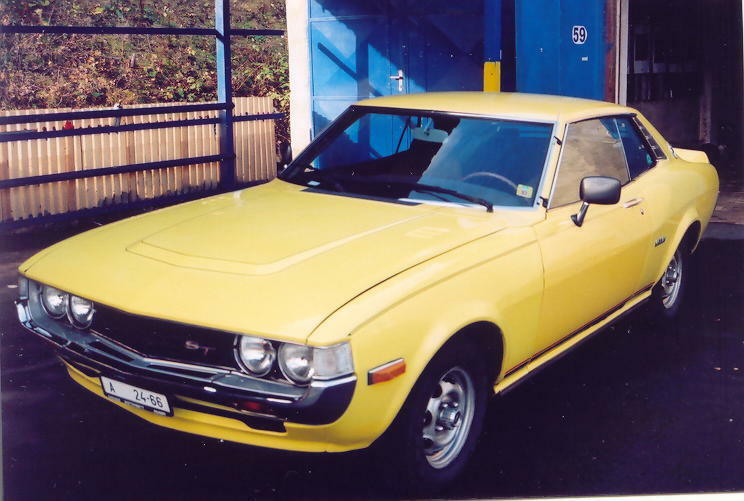 Mid-1974 saw minor changes in the Celica's trim and badges and slightly different wheel arches. The A30 automatic transmission became an option on North American ST and LT models starting in the 1973 model year. For 1975, the 1974 body was used, but body-color plastic fascia and sturdier chrome and black rubber bumpers, replaced the chrome bumpers used in the earlier cars (in accordance with US Federal bumper laws). Unfortunately the early 8R and 18R series engines proved to be less than durable, with early failures common. The 1974 18R-C engine's durability was improved somewhat, but the 20R introduced for 1975 proved to be a better engine in most respects.